With a population of over 1.25 billion India is one of the biggest and fastest growing economies in the world - standards and professionalism are of significant importance.In the absence of standards of business valuation the valuation is more on an art based on the professional experience of the valuer rather than a science based on empirical studies and logics.At present there are no prescribed standards and codes for valuation in India, in many cases the valuation lacks the uniformity and generally accepted global valuation practices.Though the value of a business can be objectively determined employing valuation approaches, this value is still subjective, dependent on buyer and seller expectations and subsequent negotiations and use of professional judgment is an essential component of estimating value. New laws regarding Valuation are being discussed and is in the process of being drafted by government bodies. At the summit, we will have a discussion on the requirement and the importance of these laws. We will try to find out how these proposed laws will impact the current practices of the valuation profession. We have invited experts from regulators, corporations and corporate affairs ministry to discuss the future of Valuation in India. We also intend to invite Private Equity and Startups professionals to discuss the significance of valuation for Startups. We are expecting a 200+ audience to be part of this summit. 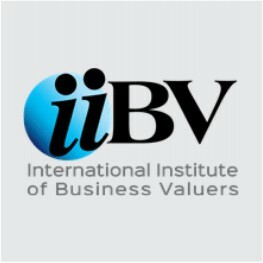 An overview of the global valuation profession and the imperative for adopting international standards for business valuations. Panel 1 . The need for regulation for the business valuation profession. i. How is it different from other business valuations? iii. Is valuation of Techstartups a bubble? What factors influence valuation in PE investments? What differentiates evaluation between an Angel Investor, VC and PE? Key deal breakers in PE transactions specific to valuation?? How M&A transactions are diff from a PE transaction? What are the valuation drivers? Key deal breakers in M&A transactions? Role of Investment Bankers in price discovery for M&A transactions? How identify and track the KPI in M&A deals? Account Name : I-Deals Network Pvt. Ltd.
Mr. Chander Sawhney is a fellow member of ICAI, ICSI and Registered Valuer with IBBI under Asset class - Securities or Financial Assets. He possesses post qualification experience of over 13 years in Investment Banking, specializing in Business Valuations and Transaction Advisory Services. 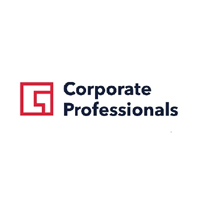 He is also a Director at Corporate Professionals Capital Pvt. Ltd., a SEBI Registered (Cat-I) Merchant Banker and has been providing sophisticated and robust Valuation advisory for Business, Shares, Derivatives, M&A and Intangibles to eminent clients, across Industries. Mr. Sawhney is a member of the Central Government Committee to advise on valuation matters, constituted by the Ministry of Corporate Affairs under Companies (Registered Valuers and Valuation) Rules, 2017 and is also a member of National M&A Council of ASSOCHAM. He has Co-Authored India’s first comprehensive book on Valuation titled “Business Valuation in India - beyond the numbers” under the new regulated regime and is also the face behind the web portal in the unstructured field of Business Valuations viz. www.corporatevaluations.in Mr. Sawhney has addressed several National and International conferences and seminars organized by IVSC, ASSOCHAM, PHD, IICA, ICAI, ICSI, VC Circle, Headstart Delhi, Rotary Club, CKF, i-Deals Network, MBA Institutes and also contributes Articles/quotes on Business, Share, Start-up, Ind-AS Valuation etc. which are published in leading financial dailies and business magazines. 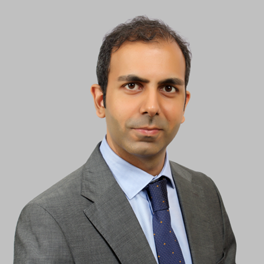 Rajesh Khairajani is well recognized in the field of valuation and selected amongst the ‘best under 40’ valuation specialists by the NACVA USA. 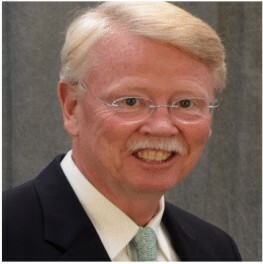 His specialty includes performing Financial Reporting Valuations under US GAAP, IFRS and IND AS and conducting Financial Due Diligence for cross border M&A. 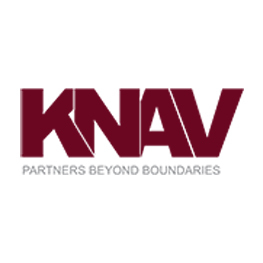 He is the Lead Valuation Partner at KNAV. 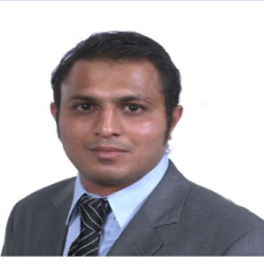 Shashank brings entrepreneurial and investment understanding with 10+ years of cross functional experience. He has worked in large companies and an investment research-data product start-up. In 2016, he joined Z Nation Lab as Director and Zsolt Capital as Vice President to lead India operations & early stage funding. Additionally, he is a member of the Maharashtra Executive Committee at People of Indian Origin Chamber of Commerce and Industry (PIOCCI). 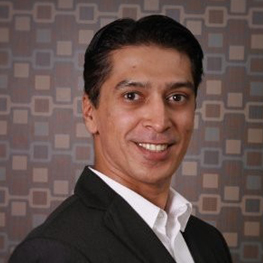 Previously, Shashank was the founding member and Vice President of VCCEdge, the data platform by VCCircle. 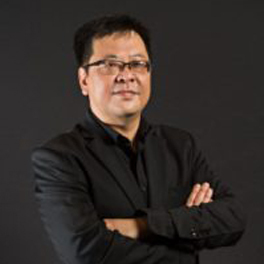 He led revenue, product development and growth initiatives for close to seven years at VCCEdge. VCCircle was acquired by News Corporation in 2015 where he served as business head for the division until 2016. 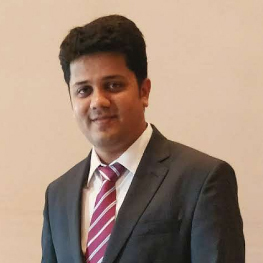 He has also worked with NIIT Ltd. and Zensar Technologies Ltd.
Shashank holds an undergraduate degree in Bachelor of Engineering from Nagpur University and an MBA from International Management Institute (IMI), New Delhi. Mr. Sahil Narula is a techno commercial professional who is heading the valuation division of Rakesh Narula & Company (RNC). 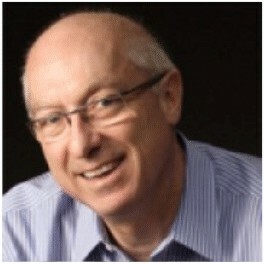 He is a third generation entrepreneur and has been instrumental to leapfrog RNC into Valuations for IBC. 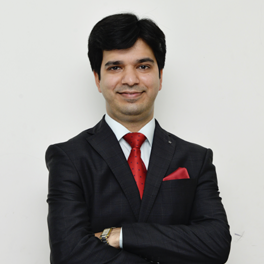 Mr. Sahil Narula is a member of INSOL, Institution of Engineers & Indian Institute of Valuers. Under his leadership, RNC's valuation services have grown exponentially in terms of team size, international quality of reports, client base and geographical locations. 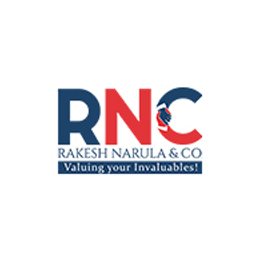 Today, RNC is a preferred consultant for the best industries in the country, having three decades of experience in the field of valuation of Assets for M&A, Bank Lending, Dispute Resolution, Insolvency & Bankruptcy, Financial Reporting, Statutory Compliances etc. Mr. Sahil Narula has been a speaker at various conferences and summits and has shared his views on Valuations for Insolvency & Bankruptcy and newly framed Registered Valuer. Senior Management at IDBI Capital. Head Investment Banking and Private wealth division. MBA (IIM – Calcutta), B.Tech (IIT – Kharagpur) with 25 years of experience in financial services including corporate and investment banking as well as investing. Has worked at HSBC, J.P. Morgan, DSP Merrill Lynch, JM Morgan Stanley. 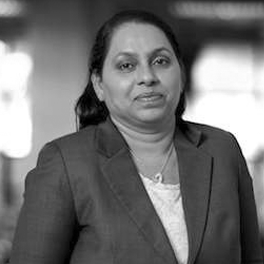 Darpit Kanadia has 10+ years of professional experience with a specialized valuation experience of 8+ years. 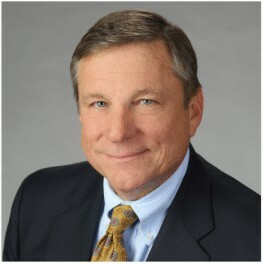 He is a Partner in the Valuations Division of Baker Tilly DHC. 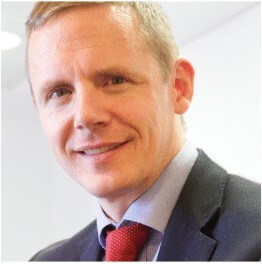 He has developed extensive experience in the areas intangible asset valuations, business valuations, M&A advice, value analysis of business plans and corporate strategies. Amit Mehra is a Principal with Unicorn India Ventures, managing investments in early and growth stage startups. He brings hands-on experience scaling startups and helping them raise institutional funding. 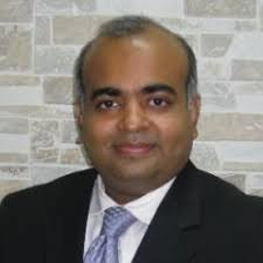 He is also an experienced Management Consultant with over 12 years experience advising Fortune-100 companies in India, US and Europe across Corporate Strategy, Turnaround and Restructuring, Post Merger Synergy realization, Cost Optimization and Investment Analysis. 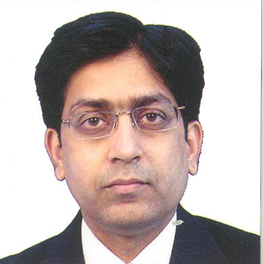 CA Pratik Singhi is a thoroughbred finance professional with over 2 decades years of industry experience. 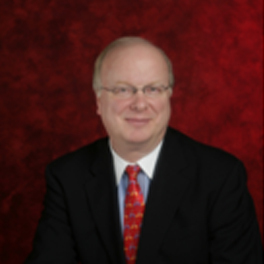 He possesses rich functional and managerial experience in fields of corporate finance and financial consulting. 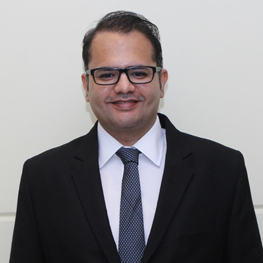 Prior to setting up Lakshya Consulting, a boutique corporate finance advisory services firm, he has worked with numerous multi-nationals such as Zee Telefilms, BDO Lodha, EDS (a Fortune 100 co.), ICICI Bank, etc. 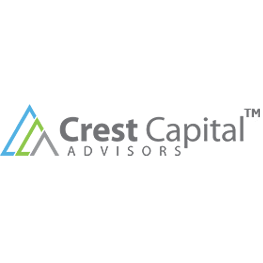 Lakshya Consulting was recently merged into Nine Rivers Capital, a boutique investment bank and corporate advisory services firm. Venu is leading Tangible Assets Valuation Practice in EY India for last 12 years. 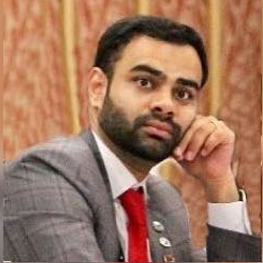 He is an Engineer, MBA Finance and internationally accredited and certified in valuation of real estate valuation from Royal Institution of Chartered Surveyors (RICS) and have a global certification as “Accredited Senior Appraiser” in Machinery & Technical Specialities from American Society of Appraisers, USA. He is also a certified “Chartered Engineer”. 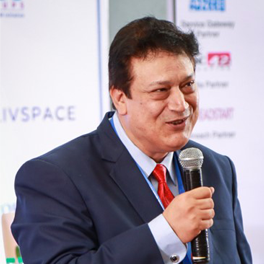 He has more than 22 years of relevant national and international valuation experience ranging across all major sectors in India, USA, UK, Europe, Middle East, Africa and South Asia. He has handled more than 500 valuation engagements with aggregate value of more than USD 4000 Billion covering valuation of assets, useful lives assessment, fixed asset register preparation, componentization etc. 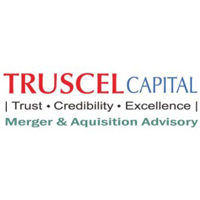 His core competencies include winning and managing large and complex engagements, client management and valuation of assets for various purposes such as mergers & acquisitions, IBC, secured lending/ debt restructuring, JVs / foreign collaborations, financial reporting (impairment testing, Purchase Price Allocation (PPA) as per USGAAP / IFRS / Indian GAAP/ Ind –AS, PPE specific conversion to IFRS/ Ind- AS, insurance, tax etc.